Happy hump day! 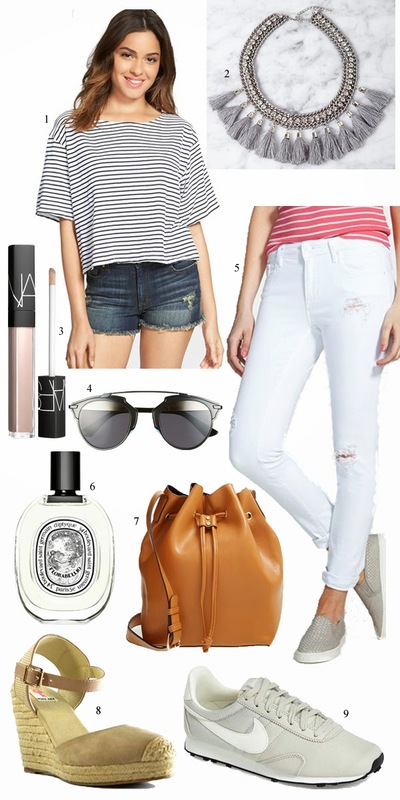 Today's wishlist is a perfect summer look and a few new favorite things of mine! Bucket bags, espadrilles, and these nikes are a few of my top picks for summer! I'm also a huge advocate of white jeans and stripes so those are of course making an appearance, especially these cute white boyfriend skinnies! ow perfect are these and for such a great price! Make sure to check out my other favorites below!! I can't believe that necklace is from Forever 21..it looks so expensive! I love the distressed white denim as well!